BVNDIT Released Tracklist of thier Debut song "Hocus Focus." The track list of new girl group BVNDIT's debut album has been released. BVNDIT released their first album 'BVNDIT, BE AMBITIOUS' through their official SNS account at 0:00 p.m. on the 2nd. they posted a image of a track list. 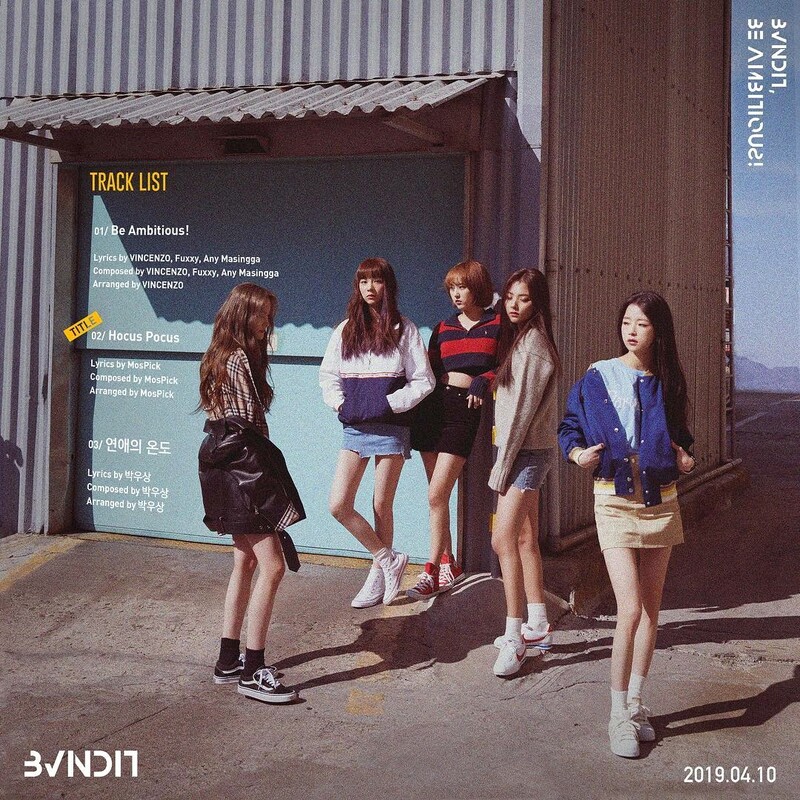 The released image shows the BVNDIT members standing freely in front of a building, while the track list is written on the left side, which catches the eye of viewers. According to the track list, BVNDIT’s debut album included a total of three tracks, including the title track "Hocus Focus," as well as "Be Ambitious" and "My Error"
The title song's title song "Hocus Focus" is an English idiom that represents a magic or magic spell, which has already raised expectations about what the BVNDIT will perform. BVNDIT’s first album "BVNDIT, BE AMITIOUS!" which is accelerating preparations for their debut, will be released on various online music sites at 6 p.m. on April 10.